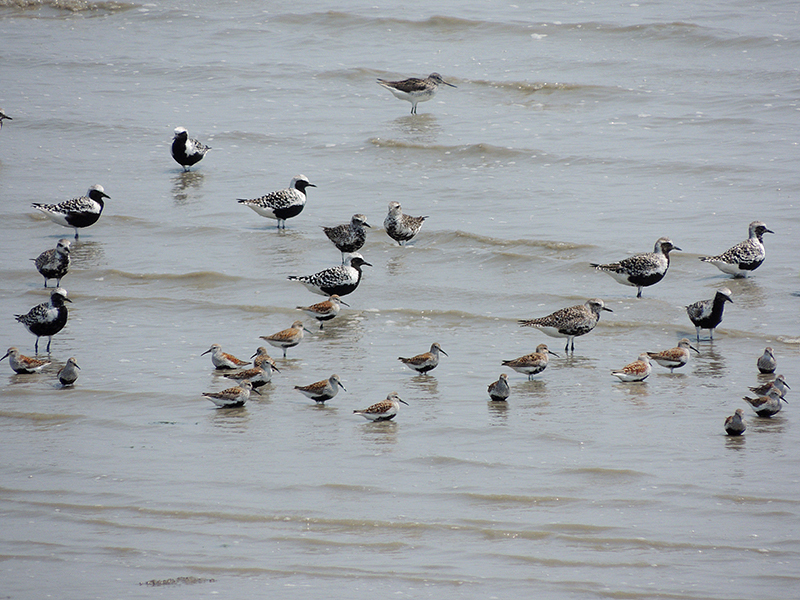 The weekly shorebird survey on Aphae Island on Sunday May 6th showed on the southern tidal-flat about 2000 Dunlin, less than 100 Grey Plover, c. 300 Red-necked Stint and very few Terek Sandpiper and Ruddy Turnstone. 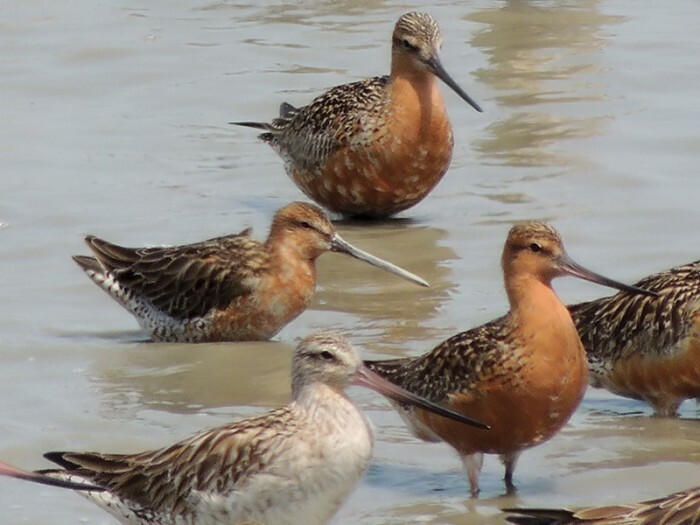 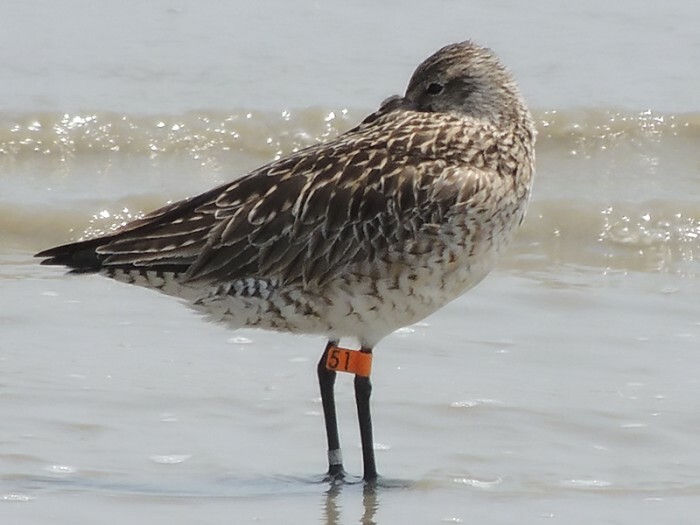 While these smaller birds were pushed out of the site by the incoming tide, a small group of Bar-tailed Godwit could be watched very closely and revealed not only two leg-flagged individuals, but also a smaller individual immediately caught the attention and the observers identified it as Asiatic Dowitcher, a species rarely recorded in Korea. 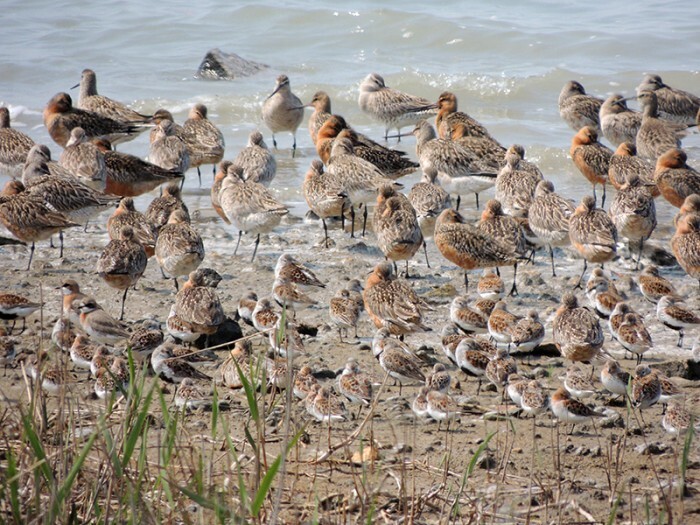 After the tide had completely filled the southern tidal-flat, all birds had moved to the northern part joining others on a few small patches of remaining roosting space.